Bill Lewis StutterStep. Originally designed for tiger-fish in Zimbabwe, the Bill Lewis StutterStephas proven in early testing to be a phenomenal bass lure. Most impressive, the StutterStep offers up to three distinct topwater actions that aren’t exactly like anything we’ve seen before. This may be the beginning of a new topwater category. 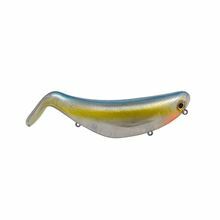 Its namesake “stutter-step” action allows for the angler to make the bait walk on 90-degree cuts instead of the standard 45-degree walks that traditional walking baits get. 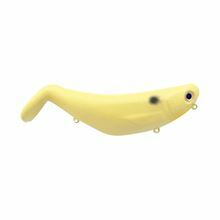 Instead of the lure coming right to the angler, this allows for the lure to be “stutter-stepped” back and forth right next to targeted cover prolonging its hang-time over the strike zone. Check out video of the Stutter-Step action. The “wobble-wake” action is what happens when you reel a StutterStep over slick water, while using no rod action. It’s a slow-medium, buzz-bait style retrieve that leaves the ‘Step wobbling and waking across the surface. Check out video of the Wobble-Wake action. The “wag-the-tail” action is a cover-water-fast type retrieve. 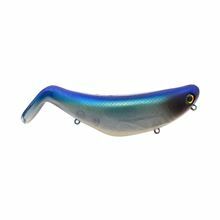 While steady reeling the StutterStep, the angler puts soft-rhythmic twitches on the rod make the lure’s tail kick side to side while the whole lure body shifts back and forth. Check out video of the action. A revolutionary topwater bait available in a wide range of proven colors, the Bill Lewis Stutterstep is about to take the bass fishing world by storm.